On September 4, Audi India was trending throughout the day, with the effects spilling over onto the next day too. Audi had just launched the Q7 and a petrol at that. In this age where Audi itself, as well as other manufacturers are fast embracing electric and hybrid cars, the Q7 is an anachronism. The general assumption is it is a 5.0-metre plus 2,330kg leviathan and will have a V6 or V8 petrol engine. Right on the first two counts but not on the last two. The Audi Q7 petrol's engine has been downsized. Much like the A3 and A4 before it. The new Audi Q7's petrol engine is a 4-cylinder 1967cc turbocharged motor that makes 252PS and 370Nm of torque. It however, doesn't get the cylinder-on-demand feature like in the A3. The engine is super silent on start-up, making you wonder if it is actually one of Audi's hybrid powertrains. However, step on the gas and you will know that this big Audi runs an IC engine. The downsizing though hasn't slowed the engine response by a huge measure. While Audi claims that the Q7 petrol will hit the ton in 6.9s, we got a time one full second slower. However, we did test the SUV in wet conditions. 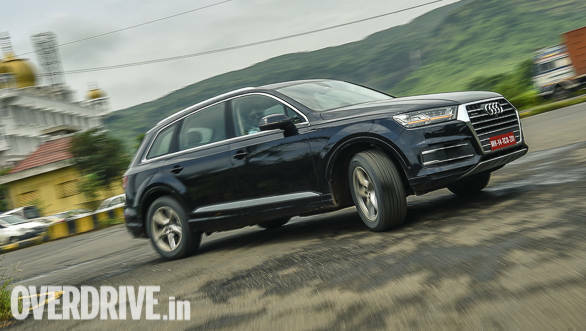 On the efficiency front, the Q7 delivered an impressive 6.57kmpl in the city and 13.95kmpl on the highway. Impressive because of the 2,300kg kerb weight that this small motor has to pull. But, how is she to drive? The downsizing does have a very small effect in the way the Q7 moves. You've got to prod the accelerator a bit more than what you might on the diesel Q7. Once the vehicle gets moving, the 8-speed automatic works its magic to ensure that the car is always in the powerband. Push the accelerator for a quick overtake and the DSG drops one or if required, two gears. Speaking of which, there is a Sport as well as Manual mode that one can use to enable quicker getaways. The Audi Q7 is one handsome vehicle, but not quite in the same league as the new Volvo XC90. 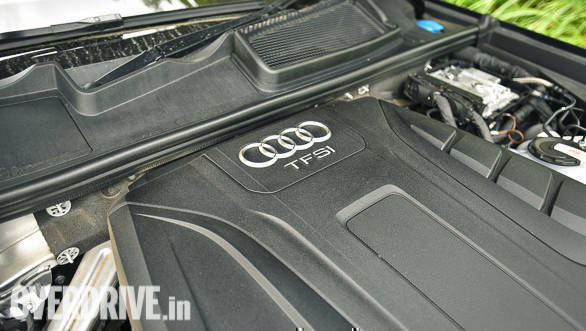 The only difference between the Q7 diesel and petrol are the badges - this one reads 40TFSI. There is also the fact that this Q7 petrol doesn't get a spare wheel as standard and only has a puncture repair kit. This liberates a bit more useable luggage space in the cabin. The cabin is decently appointed and build quality is up to the mark. 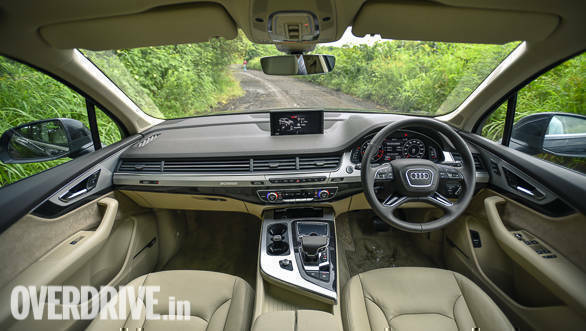 Goodies like powered seats, panoramic sunroof, adaptive air suspension, auto park assist and Apple CarPlay connectivity were standard in this Q7 petrol Technology Pack trim. Audi offers the drive select system that basically alters the engine characteristics, suspension as well as the steering assistance depending on the setting selected. It works like a charm and the few sections that we thought the Q7 will not make it without some noises on the potholes, the AllRoad setting that raises the ride height, helped alleviate any fears. The ride quality was the most supple in the Comfort setting while the Dynamic helped the SUV corner with less roll. The best part is that the Q7 shrinks around the driver and you barely realise the length of the SUV while travelling around in town. Rahil Ansari, Audi India head, says that the shift to petrols has been a conscious decision with the ratio being 70:30 as compared to 90:10 in 2015. 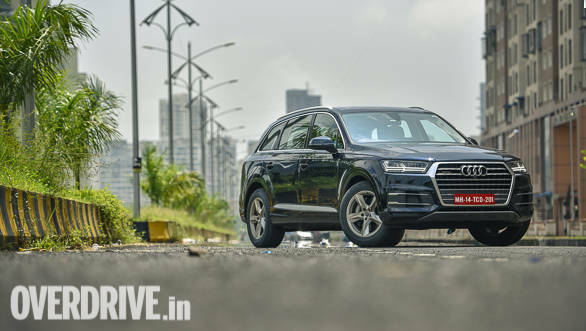 He also said that by the end of this decade, Audi hopes to have 50 per cent of petrol cars in its portfolio and the Q7 petrol contributes in a major way. It is big, can seat seven in comfort, is luxurious and is relatively affordable too. 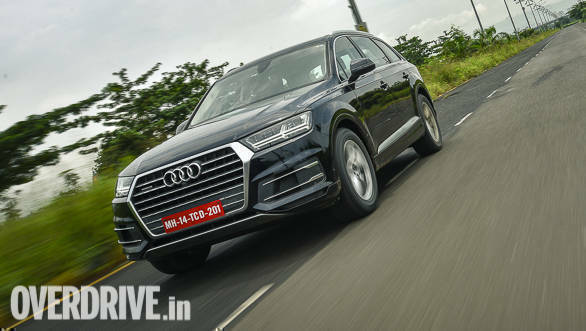 Starting at Rs 67.76 lakh - R 74.43 lakh, ex-Mumbai, the Q7 petrol is priced only Rs 3 lakh less than its diesel counterpart. 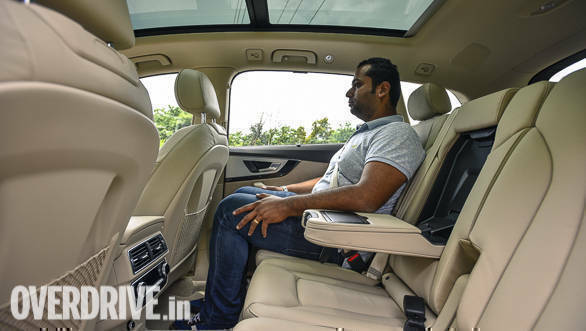 If you are going to use the SUV primarily in the city with a couple of outstation jaunts thrown in, the petrol Q7 makes perfect sense. If your usage is more, Audi has the Q7 diesel on offer as well.